Two days on from Storm Frank and New Year’s Day 2016 dawns (almost) bright. We have not suffered as much as our neighbouring community of Ballater further up Deeside. Even so, there is plenty of damage and destruction. 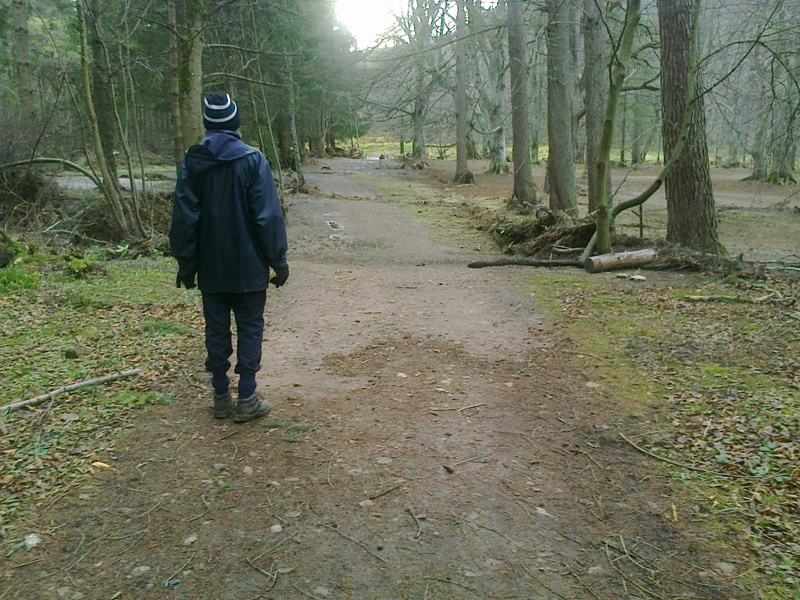 Below is a photograph of the track down to the River Dee taken from almost the same spot as on 30 December. It has now dried out, but is muddy and strewn with twisted barbed wire, broken trees and fence posts. 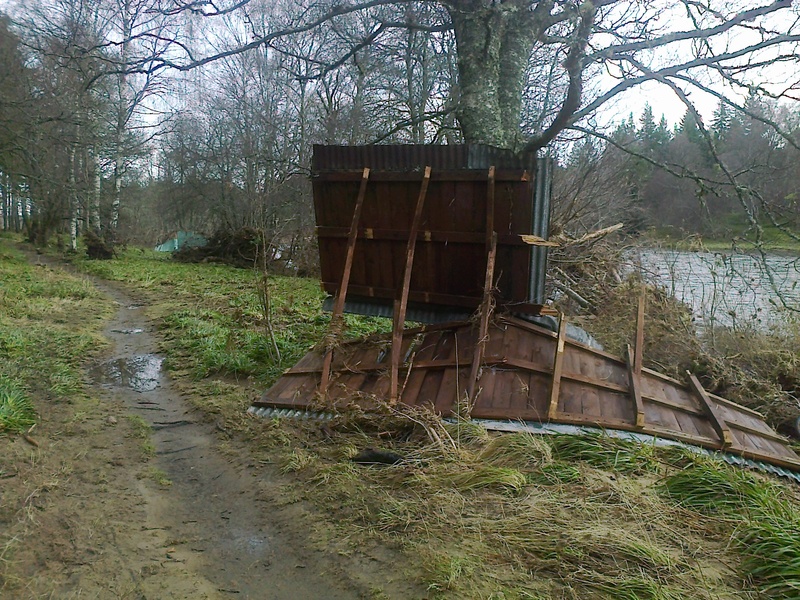 The fishermen’s hut that stood some metres back from the river has been completely destroyed – though someone has placed a chair on the site where it stood. The hut, as you can see below has been removed in pieces by the force of the water to nearby trees. Archie and I have to tread carefully over the broken ground – walking poles, uncertain balance, a thin-skinned whippet and barbed wire do not make for good chemistry. 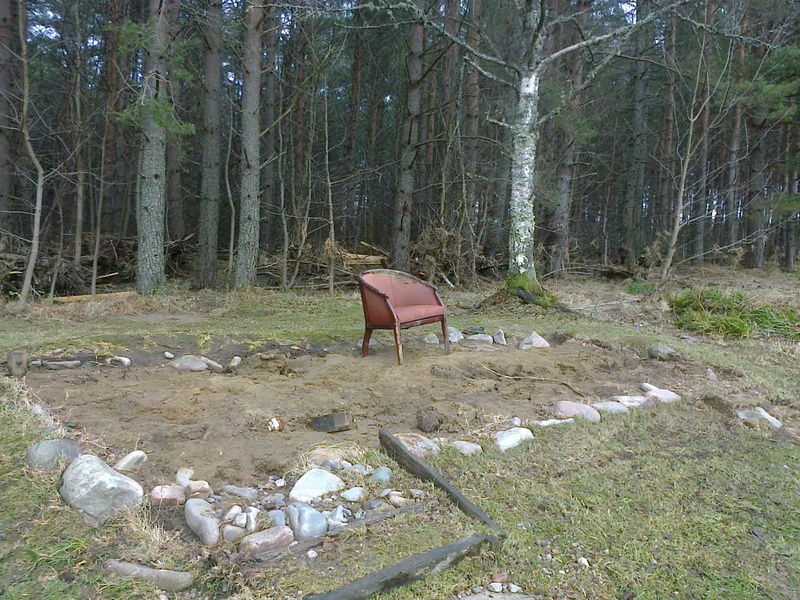 This entry was posted in Uncategorized and tagged Ballater, new year's day, storm. Bookmark the permalink.